Double headers for a number of our Clydesdale and Clydesdale Western teams, but we’ll start with Saturday’s league encounters which features home games for both 1st XI’s. Clydesdale Men’s 1st XI play their first home league game of the season against last season’s champions, Grange from 5.00pm at Titwood. ‘Dale opened their season last weekend against Hillhead, with both teams settling for a point whilst Grange started with a comfortable win against Gordonians. From last weekend’s team, the M1s are without Aidan Black but welcome back veteran Graham Dunlop. Goalkeepers Jack Rathbone – who impressed on debut last week – and Gordon Clark are both unavailable meaning there will be a debut for new goalkeeper Sean Mahoney. Clydesdale Western 1st XI also play their first home league of the season when they welcome Grange EL 1s for a 3.30pm pushback at Titwood. 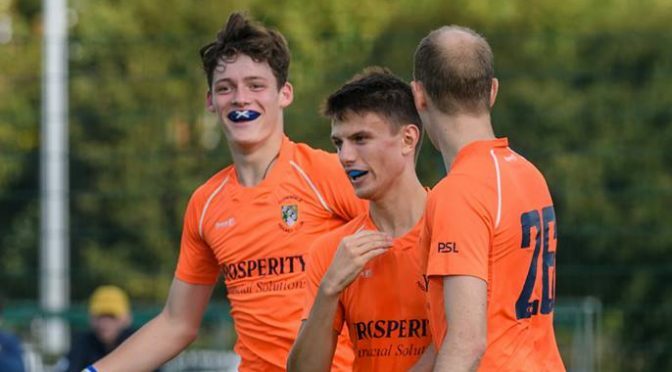 ‘Dale Western picked up their first three points of the season last Saturday in their 3-1 win against GHK and will be keen to continue in similar vain. Grange EL, in contrast, have yet to gain a point from their opening two games of the season. The L1s welcome Scotland internationalist, Millie Brown back to the matchday squad. From the rest of Saturday’s actions, there are three home games, and three away. The opening fixture in the card of home games is the M2s, who take on Grange 3s from 12.30pm. The M3s and M4s are both away – the M3s play Hillhead 3s (3.30pm PB), whilst the M4s visit Irvine 1s (11.00am PB). The L2s and L3s continue their Championship Division One season on Saturday. The L2s travel up north to play Grove Menzieshill 2s at 2.30pm. The L3s have a home fixture against Edinburgh University 3s from 2.00pm. The L5s also have a home fixture but will be playing in the 1st round of the West District Cup against Ardrossan 1s – 3.00pm PB at Hutchesons Grammar School. Good luck to all of our teams, especially those who are playing one of two games this weekend!